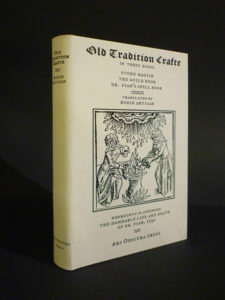 Old Tradition Crafte « Ars Obscura Bookbinding & Restoration Co.
Old Tradition Crafte presents authentic Witchcrafte of Scottish and English origin. The practices and rituals herein date upto and beyond the era of Dr. John Fian’s demise at the hands of the Inquisitors and King James VI, in 1591. 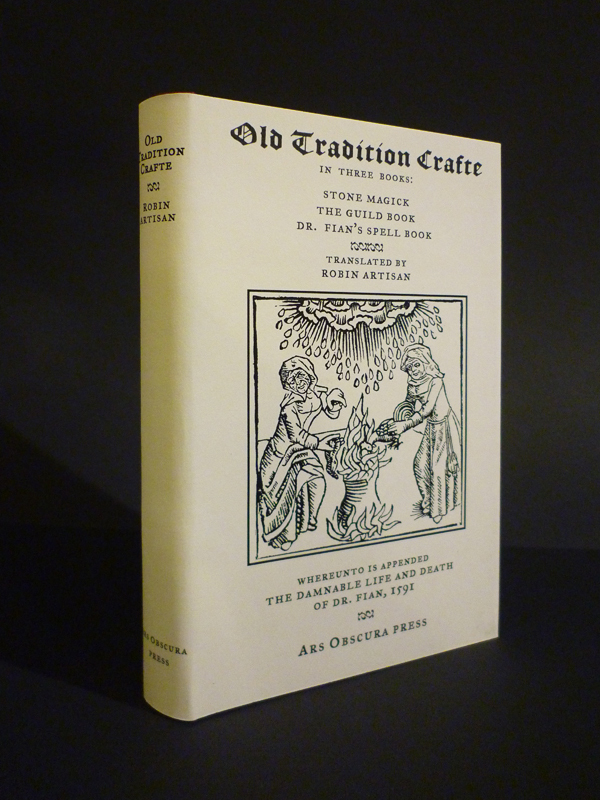 Robin Artisan, with his translation from original materials, illuminates a complete system of Old Tradition Witchcrafte. This work demonstrates, amongst other topics, the strategy used by the witches of this era and area to survive “the burning times”. Being a complete system, this work presents itself in three books. Book One is Stone Magick. The primary foundation of Earth Magick, the Four Elements and the Seasons of the Sun and Moon, are elaborated on. Herein is a hands-on grimoire for the making of the ritual tools, starting with the tools for cutting stone, the cutting of the stones, the consecrations and blessings, and the Calling of the stones. The additional key of the witches’ Rune alphabet is present. Book Two is The Guild Book. This work unveils the survival mechanism put into place by a persecuted people to survive the Holy Inquisition. It takes on the form of the Trade Guild, or the economic entrenchment of Witchcrafte. Herein are the Laws, the Tools of the Trade and Guild, the Initiation, the Witches’ Ring, the Grand Sabbat, the Old Gods, and the Herb Burnings. Dr. Fian’s Spell Book, being Book Three, delineates the ritual technical details of the Witch Work, divination by playing cards, dice and scrying. In addition, the Witches’ Bottle and the Witches’ Eye, Familiar Spirits, Thread and String Charms, Poppets, a Cauldron Spell and sundry curses & bindings. Indeed, such charming little ditties as love and lust spells, how to blight a neighbor’s crops, how to avoid an unwanted love, and weather spells. In all, rather well balanced expose’ of the practices of those of the Crafte. Appended is a photo reprint of The Damnable Life & Death of Dr. Fian, as published in 1591. A newspaper article, or popular concept, of the events themselves. A brief, but scarce work that fleshes out the details of Dr. Fian’s brief and tragic appearance on history’s stage. Illustrated. vii pps., 191pgs., 4.5 inches by 7.25 inches. The text has been set in Janson Text. Trade Cloth Edition, a red buckram, gold gilt on the spine and with a paper jacket. $60.00. 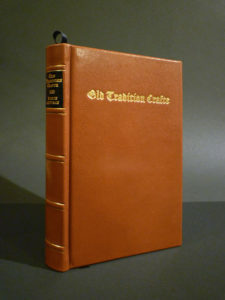 First edition, second printing, limited to 1000 copies. 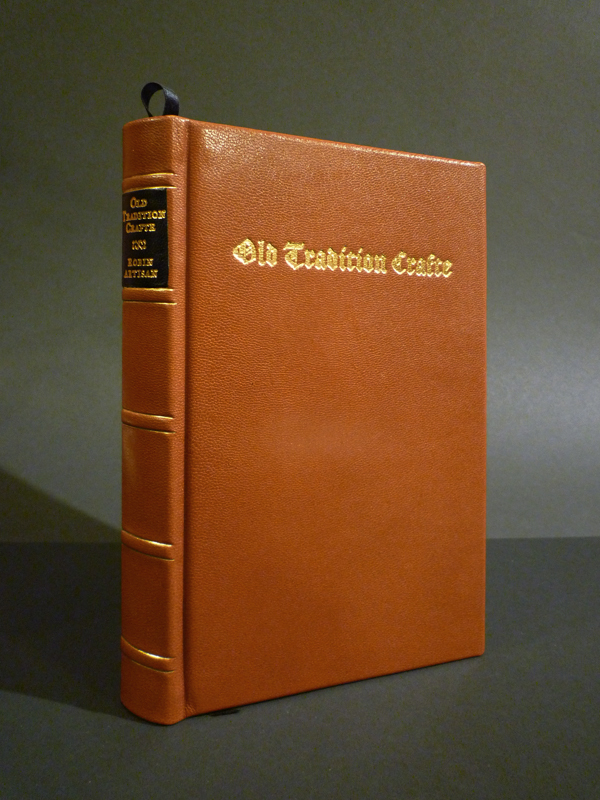 Library Edition, full leather binding in chestnut kidskin. $125.00. First edition of 250 hand-numbered copies. A full leather binding in chestnut kidskin. Leather headbands, black silk ribbon, black sewn endpapers and a raised band spine with gold gilt lines parallel the raised bands. The title and author are in gold gilt on the spine with the title on the front cover. A lined slipcase for the Library Edition is wrapped with a stout, black buckram and black lining, $60.00, additional.